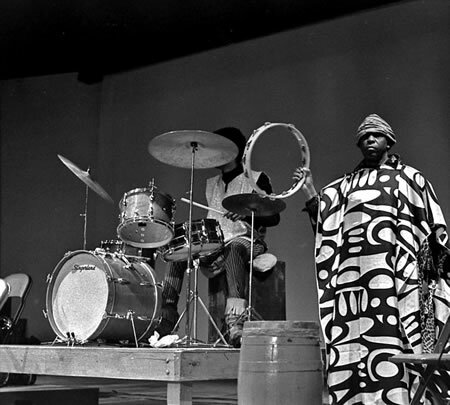 Sun Ra and Clifford Jarvis in a 1968 photo by Lee Santa. Welcome to the new Sun Ra's Online Discography! 12 years after publishing my first version of the discography, time was for a renewal. I wanted to incorporate all the things that I was missing from the beginning like search capabilities, and also an easier way to change things and design. As I have always thought that Sun Ra's music and poetry were deeply connected, I have also introduced some of his poetry here. I hope you like it. If you have information about a release not listed here and want to help sending me the data about it, please contact me at sunra@the-temple.net.